If you wake up to discover a fresh layer of snow or frost on your lawn next week, don’t panic! Mature, well-established grass can endure the freezing temperatures we typically see at this time of year; if you follow a few basic rules, you can make sure your grass makes it through the cold snap with little or no long-term cosmetic damage. If your grass freezes over due to frost or snow, the first thing to do is avoid walking on your lawn. Your grass blades are likely frozen and brittle, and a heavy boot can shatter or fracture the plant’s foliage, causing unnecessary long-term damage and inviting disease. 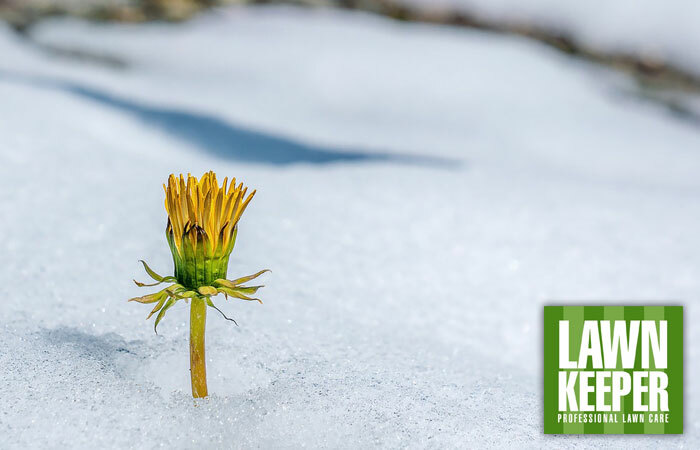 If you do need to cross your lawn in the dead of winter, our advice is to wait until midday so that your grass has at least had a chance to thaw. Just as hot air rises, cold air sinks, and tends to creep slowly along the surface of your lawn until it gets stuck in a hollow or an area with poor air circulation. In shady corners and dips where the cold air can’t escape, one morning’s frost can last for days, and these frost pockets can eventually overwhelm your grass. The best way to avoid frost pockets is to move any unnecessary bulky items off your lawn and away from the verge. If you’ve got a lot of large plant pots or garden furniture on or near the grass, try to move them out of the way for the next few weeks. Whilst some air circulation is a good thing for your grass, a strong wind can do a lot of damage, especially to a frozen lawn. When it’s frosty, the high wind will cut across the grass, stripping vital moisture from the leaves; if the ground beneath is frozen, your grass won’t be able to replace this lost moisture from its frozen roots, and your lawn will suffer discolouration and damage. To protect against wind damage, try building a windbreak to take the speed out of the wind before it hits the grass. Hedges or low walls are good long-term solutions, but January is also a great time to set up vegetable planters. You can plant your own onions and beans directly outdoors at this time of year, and the sheer bulk of a few ground-level vegetable troughs will soften even the harshest wind. Your grass is at the weakest stage of its natural growth cycle at this time of year, so it’s no surprise that hardy weeds and moss can start to flare up in January. Sometimes, you can remedy this straight away with an immediate lawn care treatment, but if we’re having a cold winter, a poorly-timed lawn care service can actually do more harm than good. 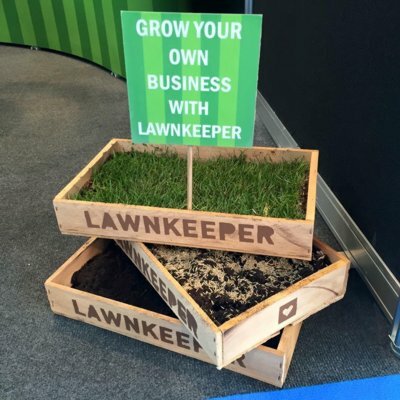 At Lawnkeeper, we work in harmony with the weather to make sure that the treatments we do provide in January, whether that’s feed & weed, aeration or moss control, are a help and not a hindrance. It might require a few weeks’ patience, but by working in harmony with the weather, we’ll be able to contribute to the long-term strength of your lawn.